Membership Required: Only ArtWanted.com members are allowed to post to the message boards. If you are already a member, please login to the control panel before you post. If you are not yet a member, click here to join. It is free! This week we made some big improvements with keyword image searches on ArtWanted. The recent changes will help bring more visibility to your artwork/photos and bring more views to your images when people search for keywords that match your images. The most common way of finding artwork, photos and artists on ArtWanted is through a keyword search. This can be done from the ArtWanted home page, Browse/Search page and from the top header found on every page of the website. Website visitors simply type in what they want to see, and the artwork/photo results will load for them to view. 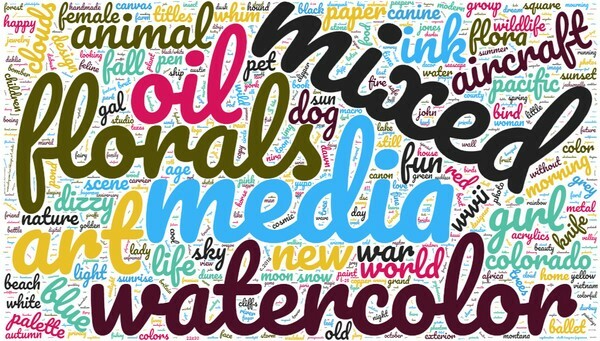 DID YOU KNOW that only 50% of the images uploaded to ArtWanted this year had keywords added to them? That means that half of the images uploaded are missing valuable clicks, views and exposure, because the artist didn’t take the time to input any keywords. To bring maximum exposure to your artwork, it’s important that you categorize every image you upload with the proper subject, media and appropriate keywords. The more details you add to your images, the more it will appear in searches done by members and visitors to ArtWanted. When adding keywords, think of any words that can be associated with your artwork/photo and type them in as keywords (separated by commas). As these keywords are searched for, your images will appear in the results and you will gain extra views to your artwork/photos. Also, don’t forget that any keywords you add will be displayed next to your artwork and be clickable to view matching artwork in your own portfolio. The next time you upload new artwork to ArtWanted, don’t forget to take some time to fill out those keywords. HAPPY BIRTHDAY DEAR LILIAN !!! !